Devil’s Advocate 1 at Edinburgh International Children's Festival - Where are the disabled performers in work for Young Audiences? 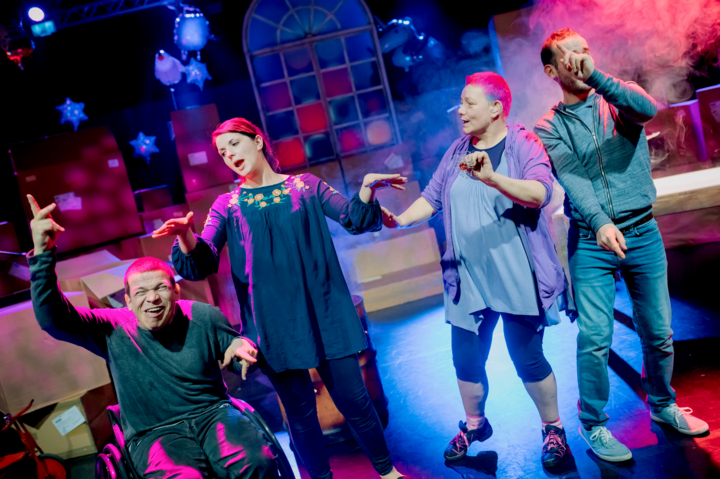 Seeing disabled performers on stage is still a rarity but seeing disabled performers in work aimed at young audiences is even rarer. As part of Edinburgh International Children’s Festival I gathered a panel of wise artists to come and talk about some new work they were about to create and/or tour. Robert Gale, Co-Artistic Director at Birds of Paradise, talked about their upcoming Christmas show, The Tin Soldier. Karen Anderson and Neil Price, from Indepen-dance, spoke about touring Four Go Wild in Wellies into schools and venues throughout the UK. Birds of Paradise have a strong history of making work for adults that challenges and stimulates new ways of thinking about access and diverse bodies in performance. This will be the first time that they will embark on making work for younger audiences. So why have decided to head down this path? This statement highlights the lack of disabled role models in our everyday live. We regularly see disabled people in the media as either a ‘drain on society’ or as ‘Superhuman’. And does this not reinforce the need for us to see more disabled and diverse bodies on the stages, especially in performance aimed at young audiences? Neil and Karen reflected that when they take their piece into schools and invite questions from the audience, none of the kids question disability or difference in the performers but talk about the characterisation they’ve seen or their own desire to get involved. This prompted me to wonder when do children start to notice difference and potentially disability? What or who brings out their awareness of it? If the CBeebie’s Everybody’s Welcome advertisement is anything to go by I would say our awareness of difference is definitely nurture, not nature.